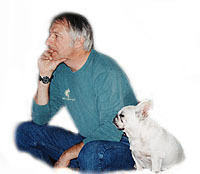 Over the years, Bill has created many commercially available, educational videotapes. Some of these may still be obtained through the USDF Office by calling 839-971-2277. The 1992 National Dressage Symposium; Maj. Anders Lindgren, Eric Lette, 2 volumes. The 1993 National Dressage Symposium; Wolfgang Niggli, Betsy Steiner, 3 volumes. The 1994 National Dressage Symposium; Michael Poulin, Lilo Fore, 3 volumes. The 1995 National Dressage Symposium; Kyra Kyrklund, Anders Lindgren, Eric Lette, 3 volumes. The 1996 National Dressage Symposium; Robert Dover, Jessica Ransehousen, Hilda Gurney, Michael Poulin, 4 volumes. The 1997 National Dressage Symposium; Steffan Peters, Elizabeth McMullen, 3 volumes. The 1998 National Dressage Symposium; Kyra Kyrklund, 3 volumes. The 1999 National Dressage Symposium; Conrad Schumacher, 4 volumes. The 2001 National Dressage Symposium; Isabell Werth, 3 volumes. The 2002 USDF Musical Freestyle Symposium, Jennie Loriston-Clarke, Debbie McDonald, Terri Ciotti-Gallo, 3 volumes. On the Levels, the 1995 AHSA Dressage Tests, 2 volumes. Oh, Golly! Did we forget to mention Bill’s slightly unconventional new book? If so, that’s our oversight! Check out DRESSAGE Unscrambled on its own page (Um, time to CLICK), then buy it at your local tack shop or on-line at Trafalgar Square Books, (Horseandriderbooks.com). In last month’s article on the “ABC’s”, Kyra Kyrklund discussed displacing the horse’s shoulders laterally — the so called “box turn.” Another of Kyra’s fundamental exercises is the leg yield. In the beginning, she counsels, just be sure you can move the horse sideways. Initially, don’t be over-concerned about which way the horse is looking or if he is on the bit. As the term indicates, your basic goal is to be sure that the horse YIELDS to the LEG. With each horse that Kyra Kyrklund rides or instructs from the ground, she has a set of expectations the horse ought to fulfill – reactions she expects from him in response to individual basic aids. Without these proper responses, it is unreasonable to think that more complicated combinations of aids will work the way they are designed to. Kyra calls the test of these basic aids her “ABC”s. Understand that whether the horse’s obedience to these aids needs to be reinforced is immediately evident to a rider like Kyra as soon as she gets on. If you are less experienced, you may need to go through the whole routine more often, as much asking your horse the questions to observe his reactions, not just to reinforce his responses.